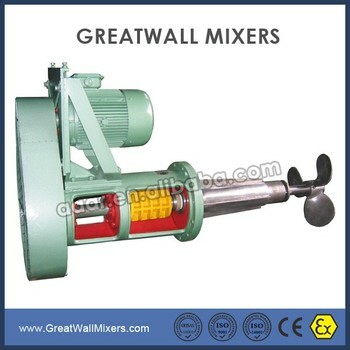 The CPT series mixers can be used for lots of processes, from simple storage mixing to complex gas-solid-liquid mixing. l Teeth belt design provides compact structure and extra strength for longer life. l Robust bearings lives in excess of 100,000 hours. l One piece of shaft design ensures precision and provides stability. l Special shut-off device can provide seal maintenance without drain the tank. l Special designed 261 seal (SiC-SiC) makes it possible for nearly all kinds of conditions.